These days most of us face emergency situations in our day to day life. We need instant cash for various reasons to cope up with our lifestyles. 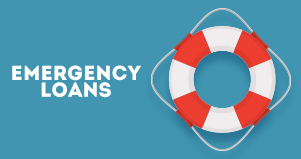 Situations like medical emergencies, due payments, and bills, educational fees demand instant loans. If you are looking for such cash loan look no further. App giving loan, CASHe provides instant loans to its user via its online app. It provides short-term loans with minimum documentation. Personal loan online is unsecured, which means you don’t have to showcase any asset ownership. It is easy to use CASHe for instant loans. Download the app from google play store or apple app store. Once you complete the download, register yourself using the social media login. Enter your details asked by the app to complete your profile. The app will then ask you to enter the cash loan details. This includes your loan amount and the duration. You can take a loan starting from Rs.10,000 up to Rs.2 lakhs. The application process with this personal loan online app is quite fast. It takes around 15 to 20 minutes to complete the process. The documents required are very basic. You need to submit your identity proof documents like aadhar card, pan card, passport or driving license. For your residential proof, you can submit your utility bills or rental agreement or passport. You also need to submit your income proof which includes your salary slips and bank statements with salary credited to avail a cash loan. The personal loan online gets approved within a few minutes if the documents are proper. Once the app giving loan approves your loan, the amount is quickly disbursed into your personal savings account. The repayment method of instant loans with CASHe is very convenient. You can simply bank transfer the loan amount on the due date. Almost everyone is eligible to apply for a cash loan. You need to be a salaried employee of a registered company. You need to be between 23 years to 58 years old. You have to be a resident of India. Once you register for a personal loan online, you can immediately check your loan eligibility. The loan amount eligibility depends on your monthly income. The minimum net monthly income required to avail a personal loan is Rs. 15,000. 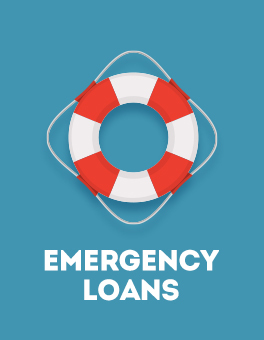 Individuals prefer CASHe for emergency loan requirement because of several reasons. People opt for a faster application and approval process during a crisis. The procedure is completely online for they can apply for instant loans whenever they want. The quick disbursal of the cash loan amount gives the user assurity of instant money. The interest rates offered are quite low compared to traditional bank loans. If you are stuck in a financial crisis and are looking for quick money, download the CASHe loan app and avail instant loans within a few hours. You can apply for personal loan online at your convenience sitting at home or at the office.